DairyFarmGuide.com is a website aiming to provide in-depth knowledge about Indian dairy farming practices and guidelines. 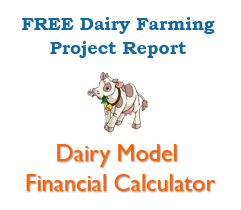 We hope information given here will help lot of existing dairy farm owners and new startups. We have tried to cover all main areas of any dairy farming setup including standards, breeding, feeding, caring, disease control and administration with record keeping. All information given on this website is sourced from various reputed private and government organizations and will be helpful in taking better decisions for all people involved in the business of milk production.